in compliance with ASTM Standards for Consumer Product Safety, Consumer Product Safety Act Regulations, and California's 2012 Metal Containing Jewelry Law. All earwires, findings, chains, and metal or metal containing beads are .925 sterling silver, 14k gold, gold-filled, or gold plated. Contact me for item details and pricing for all items featured in my slideshows. Customization is always available! Welcome ... to my website. Thank you for visiting. I hope you'll enjoy the design work on display in my slideshows. 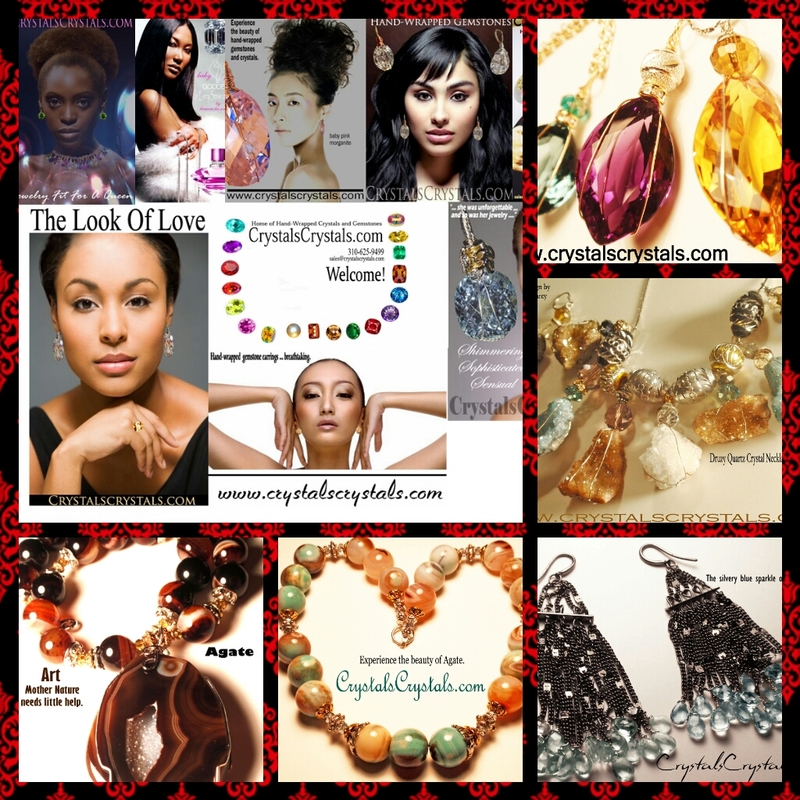 For more information about CrystalsCrystals.com, and to get on my mailing list for information about upcoming jewelry events, shows, exhibits and classes, please Contact Me. A longtime lover and collector of beautiful gemstones and crystals, one thing I know for sure is their beauty never wanes. 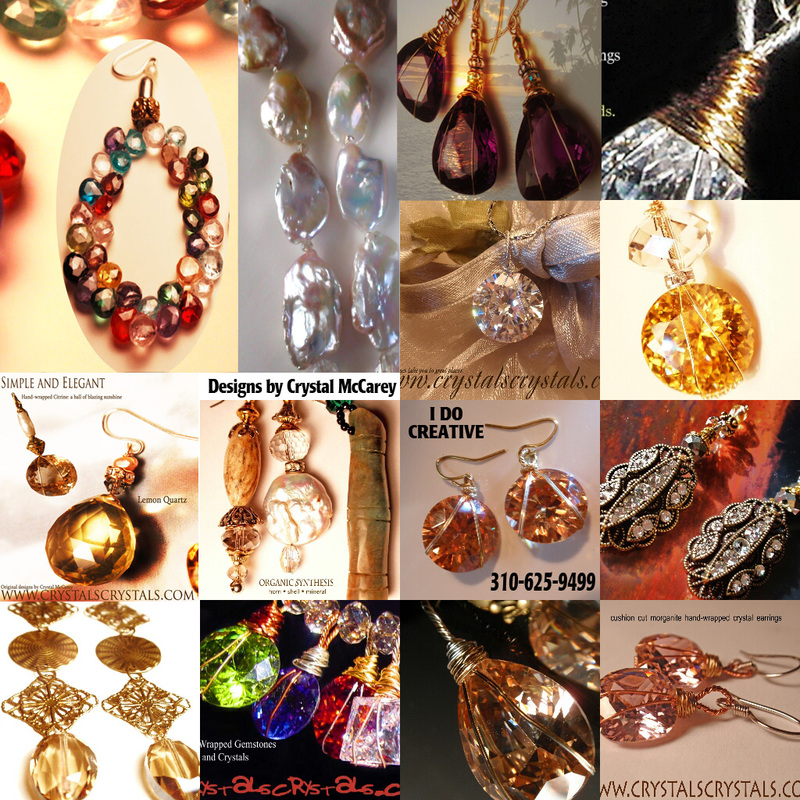 My wire wrap design work is inspired by a desire to see as much of a gemstone or crystal as possible. The CrystalHugger TwistWrap is my wire wrap technique and it securely locks a faceted gemstone or crystal in place within a sturdy wire harness, allowing a 360 degree view of a stone when viewed from any angle. The wire gauge compliments the size of the stone. In my design showroom I craft one-only creations including demi-parure ensemble sets and redesigns, each a unique blending of elements from medieval through modern art, and style era influences from most all jewelry time periods. I wire wrap faceted gemstones and crystals in sizes 5mm and up. Slideshow designs with an item number are available for purchase via my shopping cart. For item details and availability please Contact Me. I exhibit at private jewelry parties, jewelry shows, and host quarterly design studio classes. Color Sparks Emotional Sensation ... Are you attracted to the magnetism of bold color and beautifully sparkling gemstones? I feel you. And there is nothing like seeing as much of a beautiful gemstone or crystal as possible. 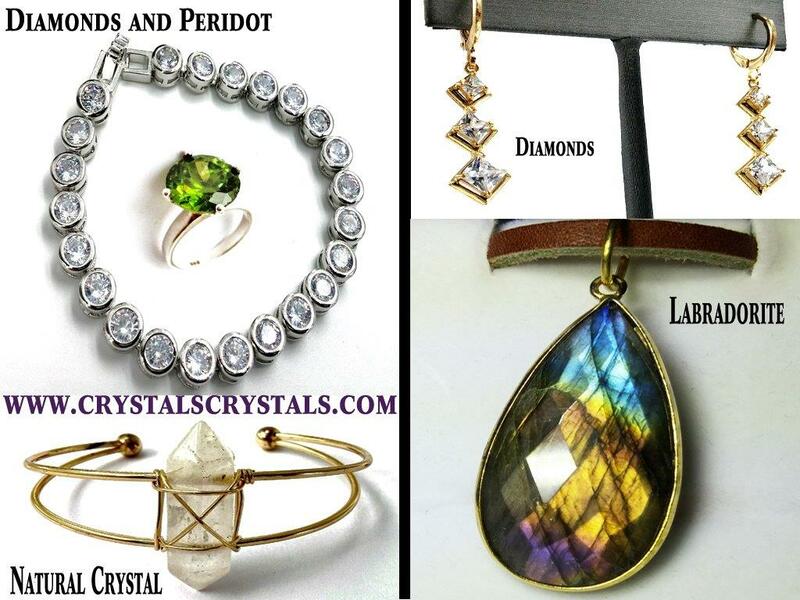 In my design studio I wrap beautifully cut, gloriously sparkly semi-precious and previous gemstones, as well as top quality lab-created and AAAAA+ grade CZ material in a variety of colors. I enjoy color, I have an eye for blending color, shape, and style elements. I particularly enjoy creating one-only designs, as I feel this is how individual style emerges - with custom made jewelry that only YOU own. With each passing season the layering and blending of design elements contribute to the creation of new and exciting "original" jewelry design concepts. I believe all designers are a part of the revolutionizing of jewelry design history, and jewelry design is a living, breathing, steadily growing industry, it changes and grows daily. In my design showroom my clients can become a part of the design process. 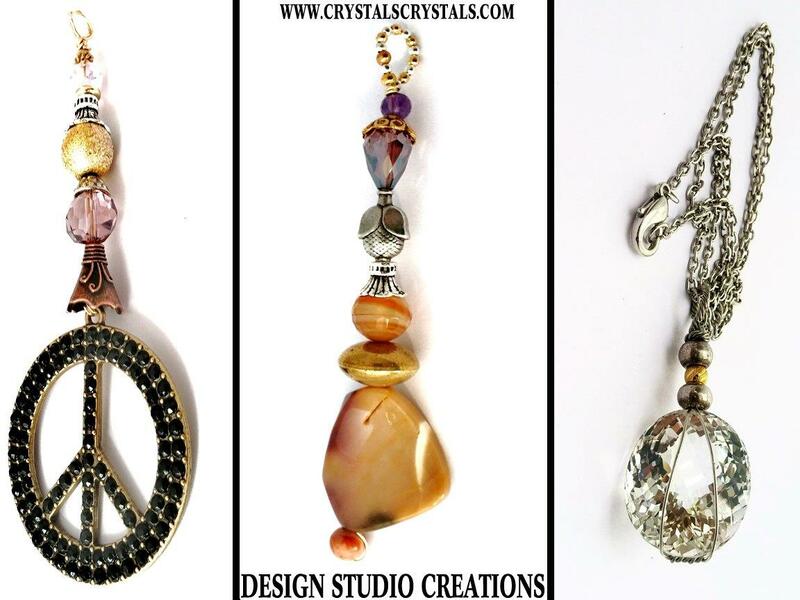 They are always welcome to part of the creation and design expertise growing at CrystalsCrystals.com. 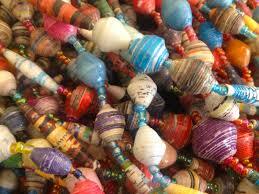 There are over 4000 fine beads, gemstone strands and findings to choose from. Custom jewelry design is always an exciting adventure because there are endless directions to go in, you have much to choose from and you are driving. 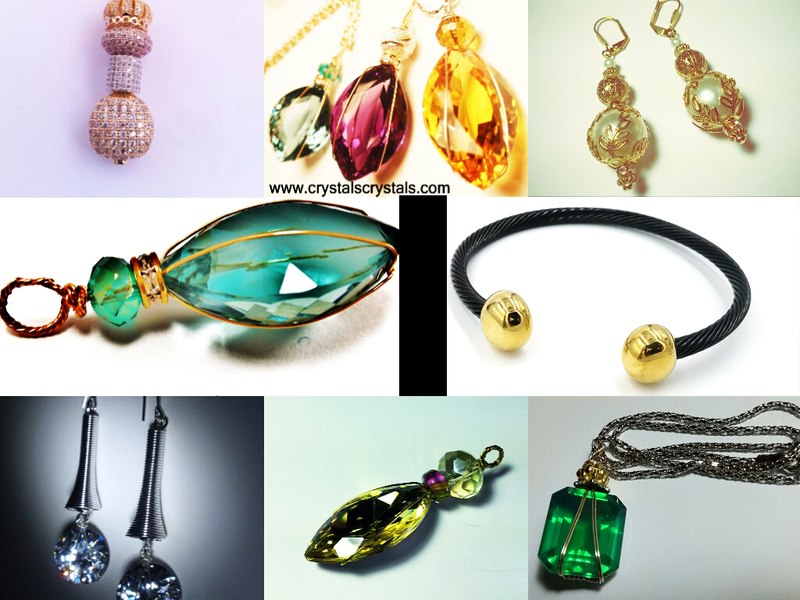 At CrystalsCrystals.com, custom-made crystal and gemstone jewelry is beautiful and affordable. 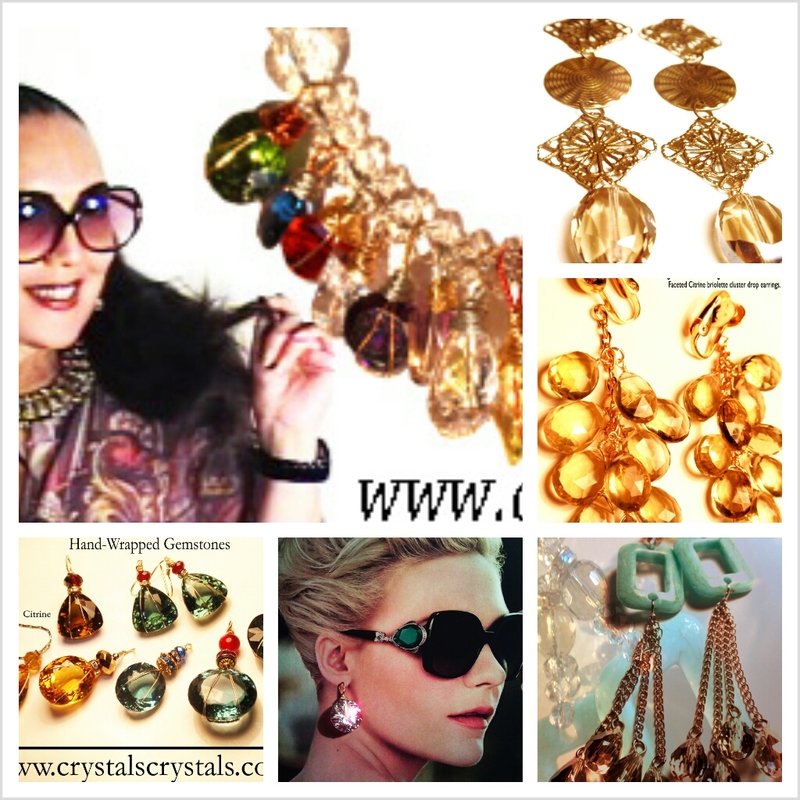 CrystalsCrystals.com endeavors to create affordable, beautiful jewelry that is unique, versatile and timeless. 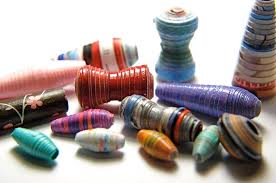 I can incorporate your ideas and preferences for color combination, bead style and other adornments to create for you a stunning one-only jewelry item. in small and large carat sizes, including lustrous one-only tahitian pearls. Special Requests ... Looking for a Raging collector quality diamond for an Engagement or Wedding Ring? his and hers custom ring sets. If you have special design ideas, they can almost always be accommodated. I am connected to many world-class gemstone dealers, brokers, and gemstone cutters who are experts in the sourcing and trade of world-class precious gemstones. Imagine ... a necklace that blends the colors of the rainbow ... all together in one necklace. 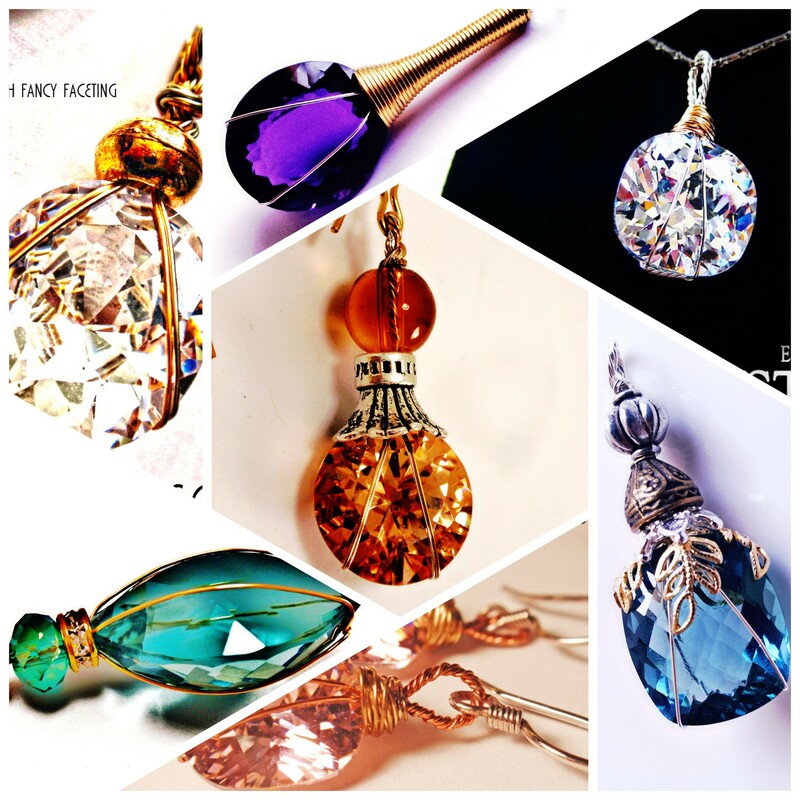 A hand-wrapped gemstone or crystal necklace is a collection of fiery, blazing color. These necklaces must always be custom ordered. 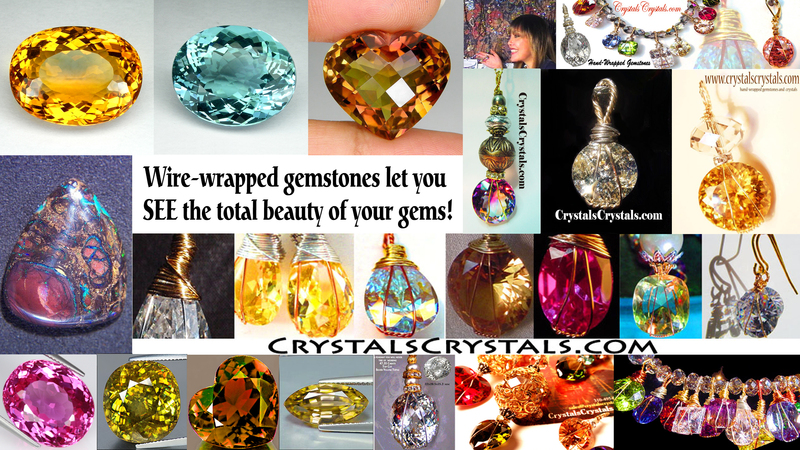 you select the gemstones and crystals you want for your necklace and earrings. you line the stones up in the color and stone shape pattern you want. Your couture necklace and earrings are then assembled. 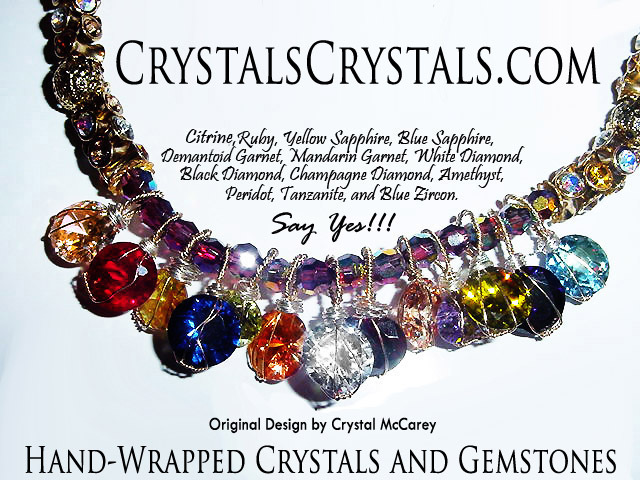 featuring your favorite gemstones and/or crystals in favorite colors and cuts. ensemble of unforgettable beauty and sparkle, you will standout from the rest. The Inuit claim Labradorite fell from the frozen fire of the Aurora Borealis, an ordinary stone that transforms to the extraordinary, shimmering in a mystical light that separates the waking world from unseen realms. It is, in every sense, a Stone of Magic, a crystal of shamans, diviners, healers, and all who travel and embrace the universe seeking knowledge and guidance. For self-discovery, it is excellent for awakening one's own awareness of inner spirit, intuition, and psychic abilities. Long revered as a healing gemstone, it is regarded as a highly mystical gemstone said to heighten intuition and enhance psychic abilities. 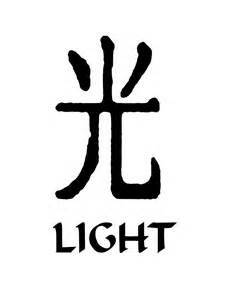 It is used in Third Eye Chakra healing. Historical writings suggest that both intuition and intellect are balanced by labradorite, illusions are dispelled by it and true intentions are seen more easily with its use. Labradorite has been reported to be a protective gemstone, protecting the wearer's aura, and sealing the aura from negative energy. It is used to heal old memories, is regarded as useful during times of transformation and change, and known as a gemstone that aids spiritual ascension. Labradorite pieces are held during Meditations and carried in one's pocket for protection, balance and light. There are several varieties of Labradorite: spectrolite, andesine-labradorite and rainbow moonstone (which is sometimes referred to by the trade name, "Madagascar moonstone"). 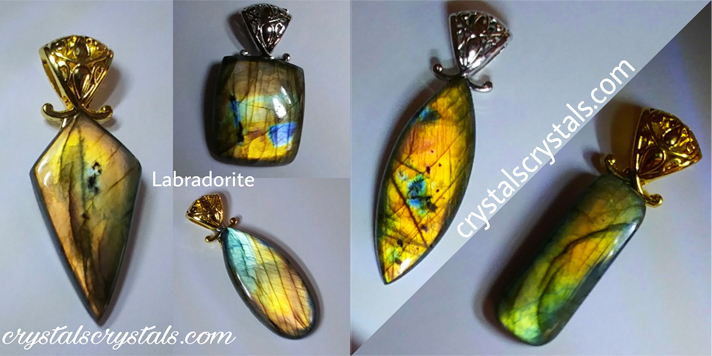 Some types of Labradorite are rarer than others and not all types of Labradorite display labradorescence. The translucent gemstones are more desirable because they display the sought-after labradorescence. 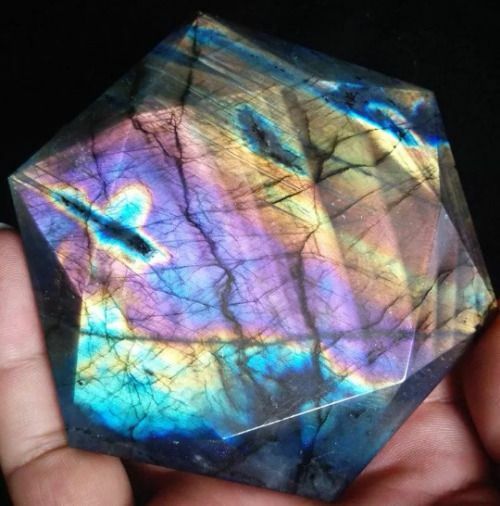 However, Labradorite that does not exhibit labradorescence can still make for beautiful jewelry because of aventurescence, another type of light-reflectance phenomenon in some Labradorite material that is caused by the crystallographically planar arrangement of macroscopically visible inclusions. Often the intensity of the aventurescence is a direct result of the size of the inclusions creating the metallic luster effect, as well as the sheer number of inclusions present in a given crystal. The appearance exhibits as a glittery look in the gemstone. Rarer varieties of Labradorite include golden Labradorite, a transparent gold or champagne-color, and Spectrolite, an intense variety displaying the entire color spectrum, discovered in Finland in the 1940s. Labradorite is a variety of plagioclase feldspar, or crystalline feldspar. The plagioclase feldspar minerals are albite, oligoclase, andesine, labradorite, bytownite and anorthite. 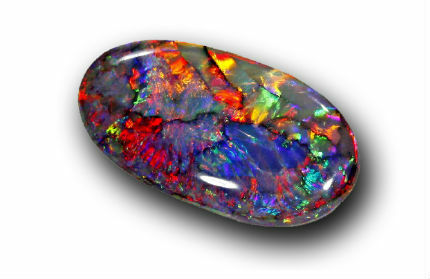 Of all the feldspars, labradorite is most often encountered as a cabochon or faceted gemstone. The material ranges in color from colorless to yellow, with inclusions of minerals such as hematite and copper creating a rainbow range of other colors in the stone. 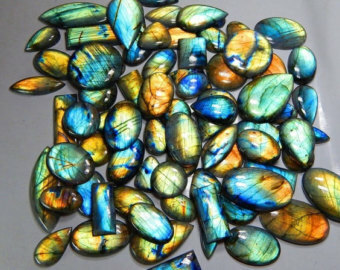 Labradorite can display an iridescent optical effect (or schiller, a lustrous metallic effect) key in the visual effect known as labradorescence. The term labradoresence was coined by Ove Balthasar Bøggild, who wrote a book about it, On The Labradorization of Feldspar. Labradorite is an unusual mineral. 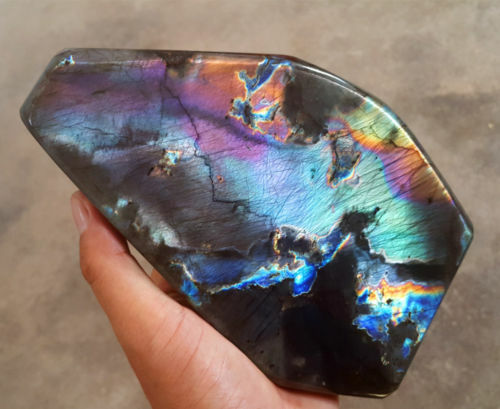 It can display a beautiful iridescent play of colors, caused by internal fractures in the mineral that reflect light back and forth, dispersing it into different colors. This beautiful optical effect of labradorization is the reflection of the light from submicroscopical planes within the stone that are orientated in one direction (rarely in two directions). These planes do not have a position such that they can be expressed by simple indices, and they are not directly visible under a microscope. It is the labradorescence that is magical, eye-catching and memorable. As the stone moves the color play shifts, seemingly a display of colors within the stone being reflected from the surface of the stone, but the display of colors is actually from light entering the stone, striking a twinning surface within the stone, and reflecting out from it. The color shifts seen are from light being reflected off the twinning surface. Different twinning surfaces within the stone reflect different colors of light. Light reflecting from different twinning surfaces in various parts of the stone give the stone a lovely glowing, multi-colored appearance. Labradorite can be found all over the world including, Labrador and Newfoundland in Canada, Oregon, Mexico, South America and Norway. The most impressive pieces are often from Finland (Spectrolite), Australia, and Madagascar. Labradorite is most often seen as polished cabochons cut into fancy shapes for pendants, as cabochons maximize the iridescence. However, Labradorite (especially transparent types) can be faceted. Labradorite is also be cut into spherical shapes for beaded jewelry. 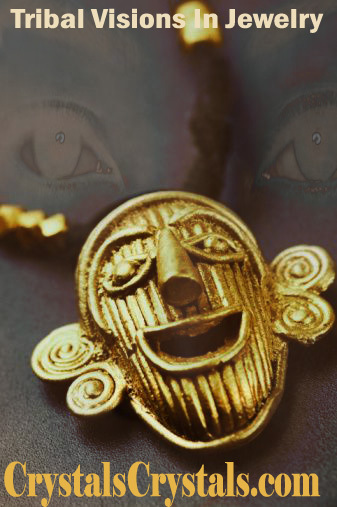 The originality of my work is easily wearable, and I strike to create designs that become a special part of my client's jewelry wearing experience. Jewelry made using wire wrapping techniques date back to thousands of years BC. 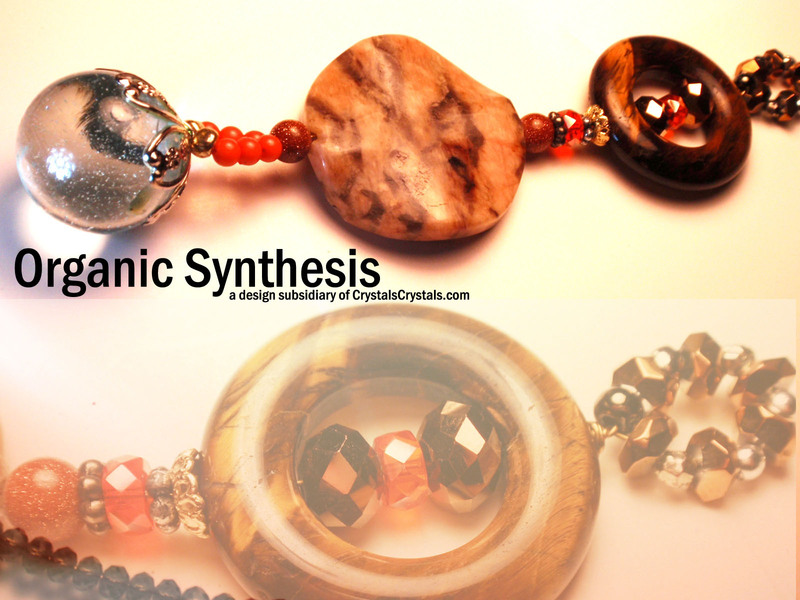 Below you can read the story of my inspiration to design wire wrapped jewelry. 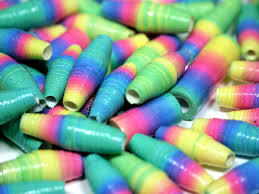 beads in a wide variety of shapes, colors and materials. Always expect top quality materials, expert workmanship, solid design advice and dependable customer service. ALWAYS ON THE CUSP OF HIGH ART: The style of my wire wrap design is timeless, it does not go out of style, it works with dressy or casual attire daytime to evening, it is original, artsy, and offers earthy yet big fashion styling at the same time. The elegant yet simple wiring design piques curiosity so don't be surprised when others notice it want to take a closer look ... and this should happen normally when the jewelry you wear is original, handmade wearable art. It should not look store bought. SUPER LIGHTWEIGHT AND COMFORTABLE: Hand-wrapped crystal earrings in the 10MM size are super lightweight, and offer magnificent presence and sparkle. 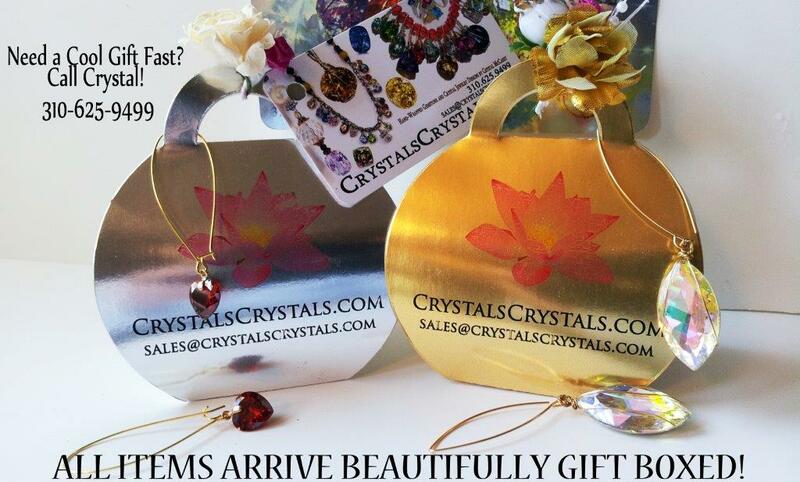 Hand-wrapped gemstone and crystal earrings are very comfortable to wear. They should be cared for as you would fine jewelry. The design lines are clean and minimal, simple, and earthy. 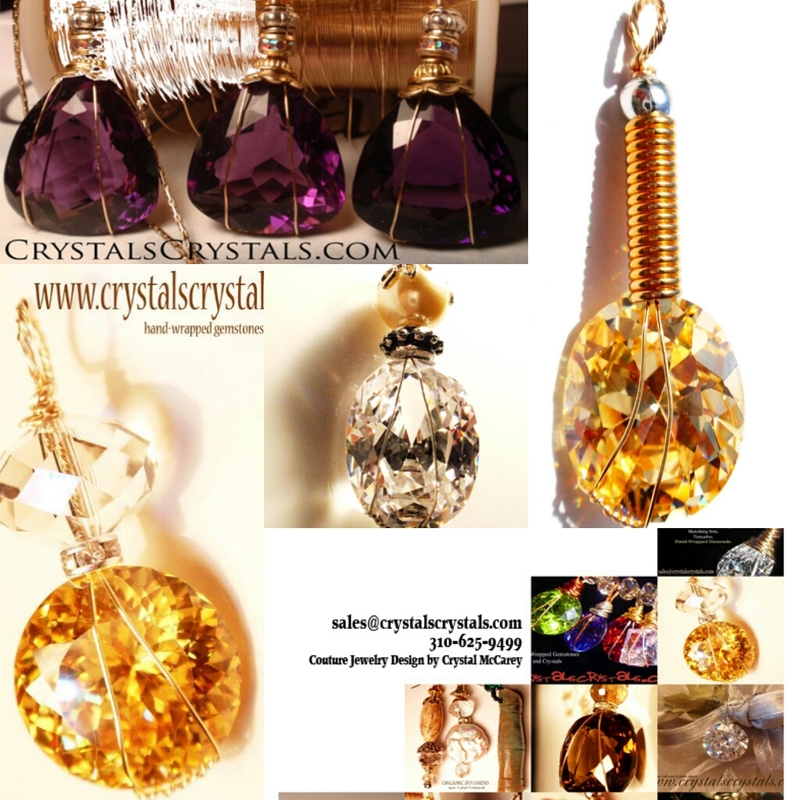 An elegant hand-wrapped crystal pendant is a great try-me item, and when combined with matching earrings you will enjoy a complete signature look. Time for a quick auction browse? Visit Sotheby's Fine Jewels Auction to discover breathtaking, rare, custom-crafted, one-only fine jewelry items. DESIGN INSPIRATION:The CrystalHugger TwistWrap was inspired during a chance encounter with a stack of Architectural Digest magazines in a thrift store while helping a friend furnish a new home in Malibu, California ... it was 2003, I had spent the prior three years exposed to a large amount of custom designed, estate and auction jewelry which inspired me to resale jewelry, but I had not thought about becoming a designer ... until ... I came upon that stack of Architectural Digest magazines. One of the magazines featured Prehistoric Architecture, including photographs of prehistoric tools used by tribesmen. 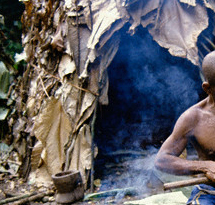 The section of the feature that showcased photos of wrapping styles tribesmen used to attach rocks (and even small boulders) to sticks caught my attention. I was intrigued by the way they twisted, tied, knotted, weaved and looped various types of soft twigs, tree vines, and flexible strings of hide around rocks (some rounded and others with points) to create tools they could use for self-defense, hunting and to cut off fruit bearing tree branches for meals. I borrowed from the vertical lines of their tools. Their various tying, looping and weaving techniques were ingenious and as I read, helped them survive. I walked out to the beach and gathered a small collection of pebbles and rocks, some rounded and some with points. I envisioned using wire to wrap the stones. After much research, experimentation and practice I had created a wire wrapping technique that snugly held onto the stones with points. I noticed many stones with points had similarities to the shape of round faceted gemstones and crystals, and I was inspired to continue working with wire, initially wire wrapping large 30mm to 50mm faceted semi-precious gemstones and crystals and connecting them vertical findings. I graduated to wire wrapping other shapes and sizes of faceted stones. I personally fell in love with the way the wire wrap technique showed off the entire stone. Over time I perfected the wiring technique to add loops at the top, bottom, or both ends to attach the wire wrapped stones to chains and other jewelry findings, both vertically and horizontally. I wire wrapped stones primarily with wire gauge sizes ranging from 20 to 28. Steady practice allowed me to graduate the size of stones I could wire wrap down to 5mm using 32 gauge wire. The design steadily attracted attention, and I was blessed to partner with Colorstone International, who specialize in brokering precious gemstones, cutting, polishing, gemstone repair and manufacturing lab-created and synthetic gemstones. I wire wrapped their beautiful gemstones with sterling silver and gold wire for display at Los Angeles jewelry district events and the International Gem Show. I began receiving requests to make earrings and pendants for others who enjoy the way my wire wrap technique shows off the total beauty of faceted stones allowing for a 360 degree view of the stone from all angles. The popularity of the design steadily grew, so I created a line of Hand-Wrapped Gemstones and Crystals for red-carpet events. My designs were featured in music videos and on the runway, being selected by several aspiring designers at The Fashion Institute of Design & Merchandising to be worn on their semester end runway shows where their designs competed for a final grade. I am honored to share that my designs were chosen by two winning competitors, Ito Masai (Fashion Design) and Tara Schreiber (Theatre Costume Design). I was contacted by several upscale personal stylists who presented my designs to entertainment clients including Nancy Wilson, Patti LaBelle, Lisa Bonet, Vesta Williams, Chaka Kahn, and Whitney Houston. My clientele continues to steadily grow with admirers of beautiful gemstones and unique, artisan crafted jewelry designs. GEMSTONE SOURCING: My clients have access to an extensive network of international and U.S. gemstone cutters and dealers of precious and semi-precious gemstones as well as stunning simulated and lab-created gemstones. Times have changed as they always will, yet time never changes the value of fine gemstones. Prices hinge on rarity and the rarer a gemstone becomes the more expensive it is. Rare gemstones are investments, and each is a product of unimaginable detail, with a remarkable individual history and journey. There is much work that goes into the discovery of and the making of a fine gemstone, from the hands of Mother Earth to the hands of a skilled gemstone cutter to the hands of an amazing jewelry designer who creates a fine jewelry item for lifelong enjoyment. 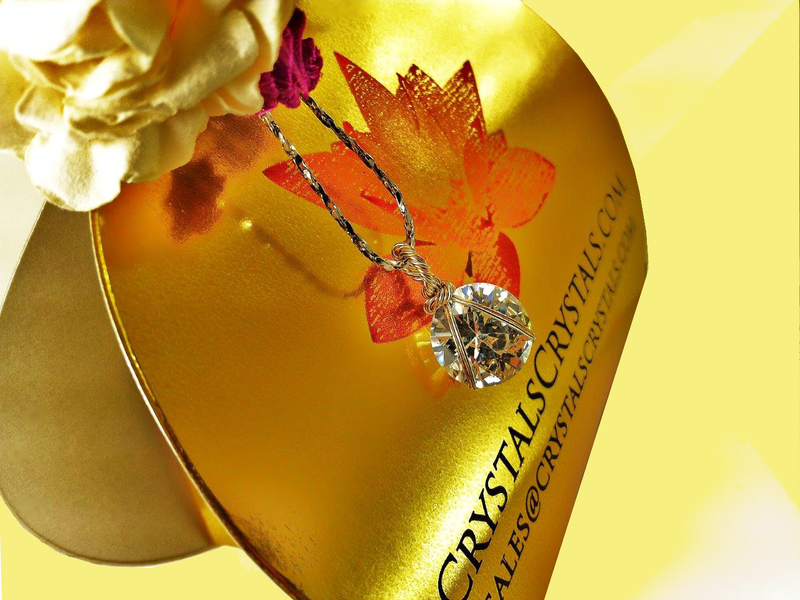 A LOVELY HAND-WRAPPED CRYSTAL PENDANT & CHAIN MAKES A CLASSIC PLACE SETTING GIFT ... DO YOU HAVE A TEA, LUNCHEON, PARTY OR OTHER SPECIAL EVENT COMING UP? 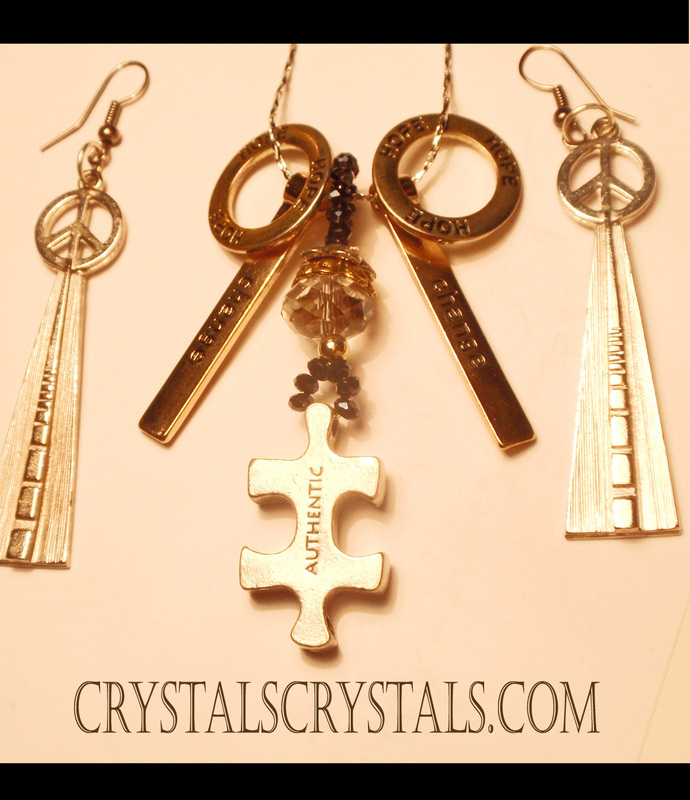 Giving a gift of original handmade art, artisan crafted, custom made jewelry is a gift that will not be forgotten. 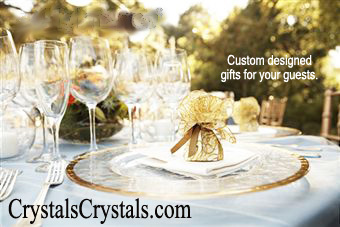 Present your guests with an original, custom artisan crafted and beautifully designed gift of jewelry. Make someone happy today ... just your smile is a gift.